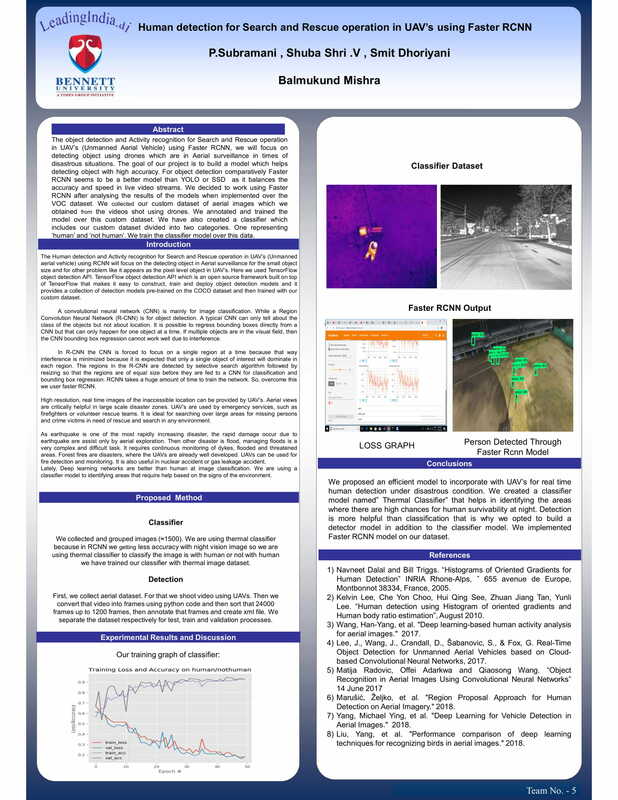 The Human detection and Activity recognition for Search and Rescue operation in UAV’s (Unmanned aerial vehicle) using RCNN will focus on the detecting object in Aerial surveillance for the small object size and for other problem like it appears as the pixel level object in UAV’s. Here we used TensorFlow object detection API. TensorFlow object detection API which is an open source framework built on top of TensorFlow that makes it easy to construct, train and deploy object detection models and it provides a collection of detection models pre-trained on the COCO dataset and then trained with our custom dataset.